Aerial Alchemy has announced that it is collaborating with Naval Surface Warfare Center, Port Hueneme Division (NSWC PHD) to research and investigate the use of unmanned aerial systems (UAS) to enhance maintenance and fleet readiness for the U.S. Navy. Specifically, the unmanned systems are capable of visually capturing the exterior surface of naval ships. This data could then be used to develop 3D digital models with the end goal of identifying damage, corrosion, and alignment issues. 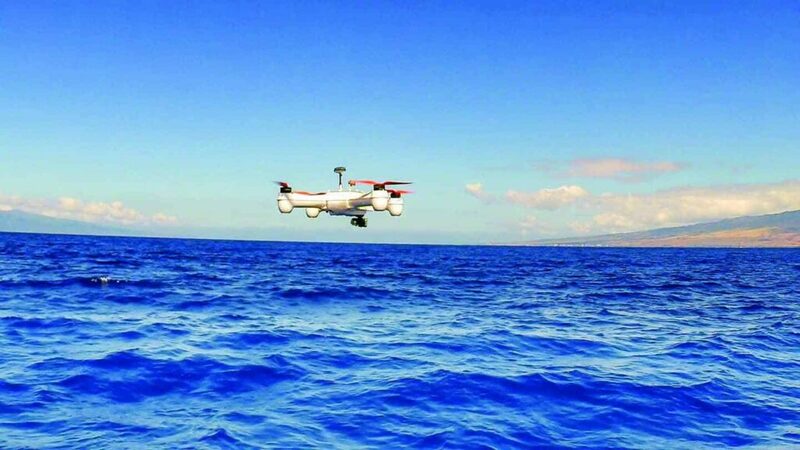 NSWC PHD and Aerial Alchemy validated their collaborative partnership through a Cooperative Research and Development Agreement (CRADA) as part of ongoing Naval Innovative Science and Engineering research to advance the future of in-service engineering. The National Defense Authorization Act of 1986 allows warfare centers and research laboratories to collaborate with industry and academic partnerships in research, engineering and technology development. “When NSWC PHD saw the work we were doing building digital as-built models of power substations, we were asked if we could scan a ship with the same precision that we scan a power substation. Obviously there are significant differences and challenges associated with a moving platform in a maritime environment, but we feel we have the knowledge, equipment and expertise to figure out how to transition the capability to the Navy. This is an exciting opportunity for us and it’s a great day to be in the commercial drone industry,” concluded Spaulding.